During May and June of the year 1915 hundreds of South African troops were posted to do guard-duty on the rebuilt Otavi Railway between Swakopmund and Usakos. These were men of the second battalions of three of South Africa's proudest fighting units, the Durban Light Infantry, the Transvaal Scottish and the Kimberley regiments. 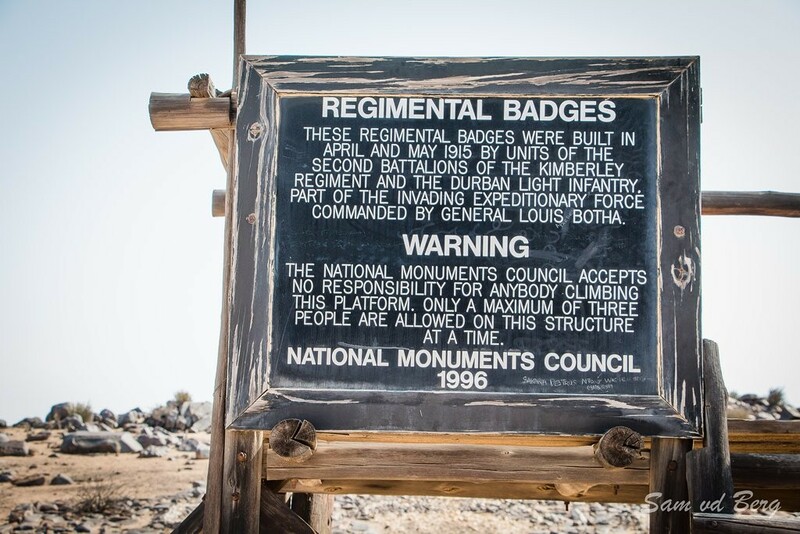 With them were detachments of signallers of the South African Mounted Rifles who manned the all-important heliograph stations perched on high points near the railway line. Food and water were limited; corned beef and army biscuits the staple diet and the brackish water was always warm from standing in the corrugated-iron tanks. It is easy, even without recourse to the many books published after the campaign or the letters and diaries received from World War I veterans, to recapture a picture of the conditions endured by the troops as wearying hours stretched to days, to weeks and then months. By day there was no shade available other than in the suffocatingly hot tents and plagues of flies made all meals a misery. The water and the precious few bottles of beer available were always tepid. Sunburn, eye-strain and sore feet were constant problems and by night the men suffered from the damp cold of the desert so unfamiliar to them. The East Wind seems to have prevailed at the time and the Swakopmund hospital was constantly full of troops sent back to recover from heat-prostration and other afflictions. The troops reacted to these conditions in many ways. Many slept their free hours away; others wrote long letters home bemoaning their fate; a few explored their immediate surroundings, hoping to find minerals, especially diamonds as their comrades in the Eastern Force had done down at Luderitz. But a handful took up a past-time which guaranteed permanent reminders of this important episode in the history of South West Africa. 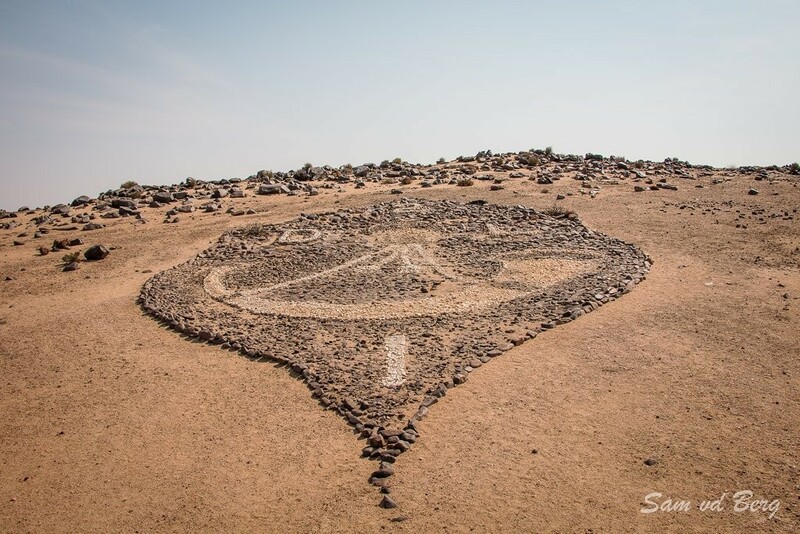 These were the enterprising men who set out their initials, names and regimental insignia in stone on the gentle slopes of the rocky Namib ridges adjacent to the railway line. No one knows which company of which regiment first thought up the idea, but apparently the craze soon caught on and a keen sense of competition sprang up. Each group tried to outdo the other in the complexity and skill of their labours. Thus today a journey alongside the gleaming tracks, just a few hundred yards from the tarmac ribbon of the modern highway, provides the curious and the enterprising passersby with fascinating glimpses into the history of that campaign. 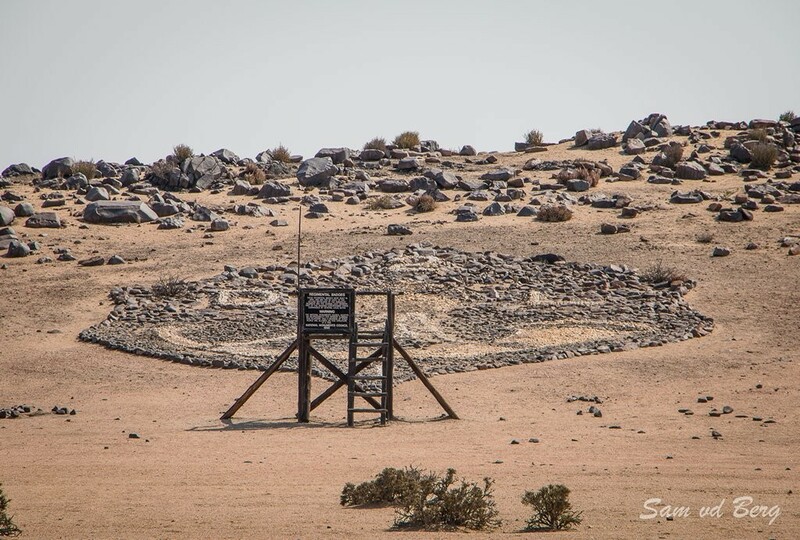 Just 27 kilometres East of Swakopmund between the railway and the highway, the first relics are to be seen. On the slope of a ridge lies a magnificent badge of the 2nd Battalion, Kimberley Regiment; a diamond of white quartz pebbles encircled by delicate wreaths in brown and the letters 2 K R again in white. 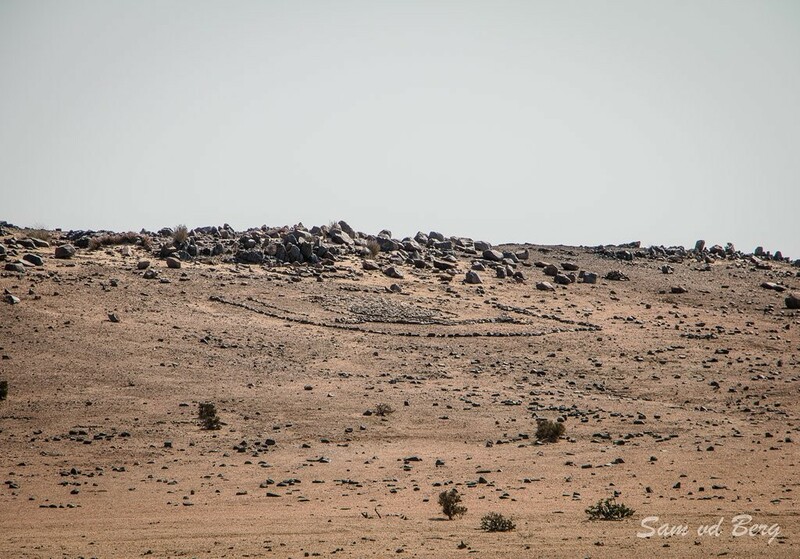 More information on the Regimental Insignia in the Desert can be found in the article.